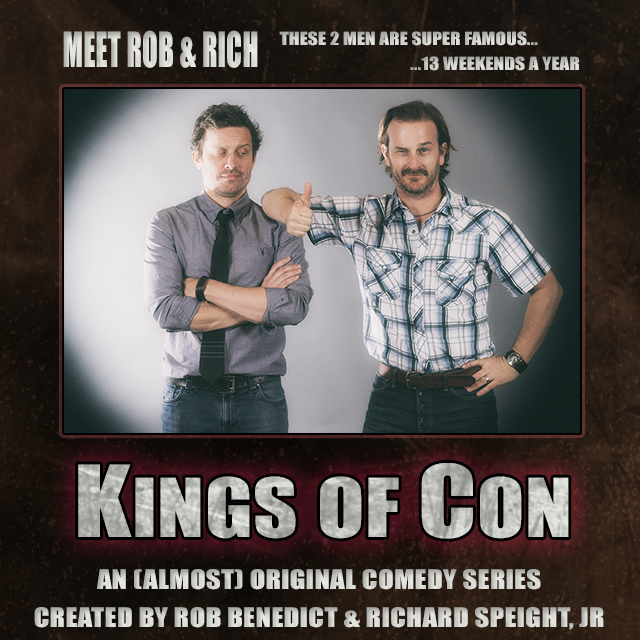 Kings of Con is inspired by Speight and Benedict’s experiences on the convention circuit, combining scripted content with improvisation. It has been in development for over a year and uses footage taken from Speight and Benedict’s appearances at Supernatural conventions. It’s ‘Broad City’ meets ‘Party Down’ with the comedic honesty of ‘Curb Your Enthusiasm’ and Louis CK as Richard and Rob play caricatures of themselves cavorting through the con world: Rich, a thrice-divorced former actor whose love of the game is fueled by the faux fame he experiences at the hands of a gaggle of fans who still think he matters; and Rob, a recent divorcee back on the circuit to cover the costs of his failed marriage and stalled career. 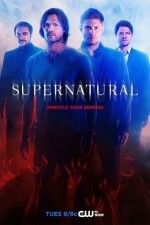 Scripted content mixed with improv, and Rich and Rob’s razor-sharp interplay all fuel the spirit of the show, backed by a supporting/guest cast of other ‘Supernatural’ players as well as established actors from across the Hollywood spectrum Rob and Richard have come to know over the course of their 20-year careers. The limited-edition rewards will go fast, as evidenced by the fact that the signed t-shirts and Skype sessions sold out on the first day of the crowdsourcing campaign. Check out their indiegogo campaign if you want to learn more about the King of Con series, contribute, or just experience how funny these two guys are together.